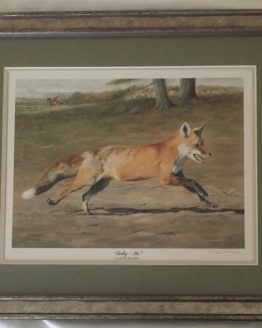 The print is hand signed “Baarns” on the left side underneath the image. 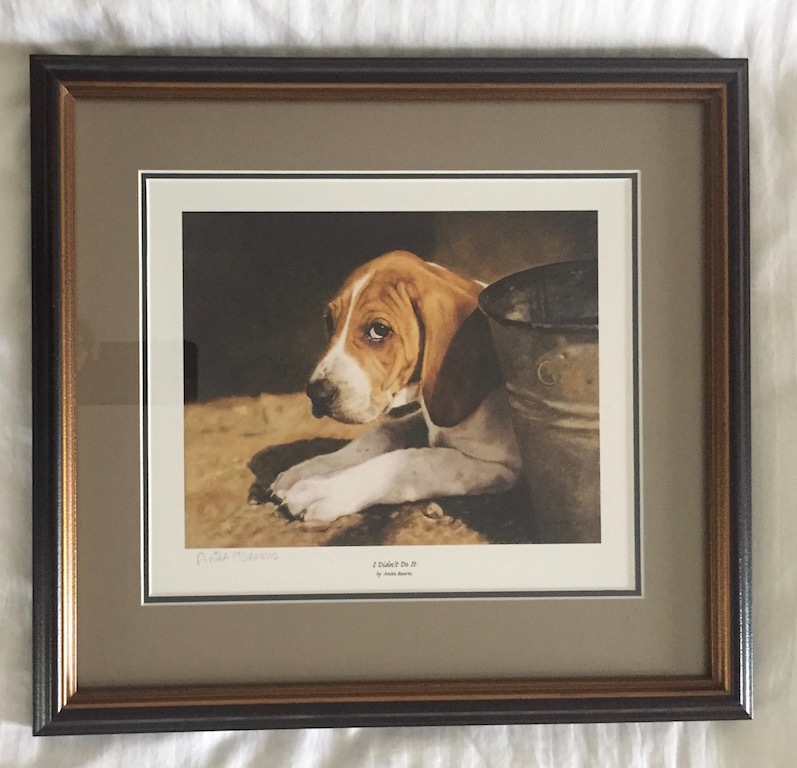 The title “I Didn’t Do It” and “By Anita Baarns” is centered underneath the image. The framed print is 17″ x 15 3/4″. The print is framed with a double mat. The primary mat is 1.5″ wide on 3 sides, and 1.75″ wide at the bottom. The second mat shows 3/16″. Both mats are made of 100% rag paper. It shows a crisp 90 degree white beveled edge. Protected by glass and ready to hang.